Staff from Northumbria University have attended the first ever conference discussing how to develop sport in Zambia this week. The University has played a significant role in the development of the conference, which took place in the country’s capital Lusaka on the 27 and 28 July. Attended by senior Government ministers and officials, the event represents an important step in making development work both sustainable and of lasting benefit to the lives of young Zambians. 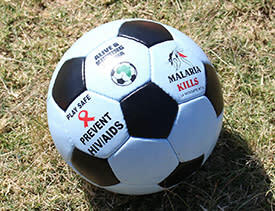 Sport can have a hugely positive impact on impoverished communities and can be used as a tool to empower young people and educate them around issues like HIV and AIDS. 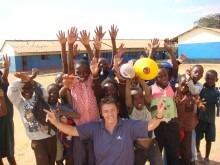 The conference also marked the tenth anniversary of the Zambia IDEALS (International Development Through Excellence and Leadership in Sport) project – a UK Sport funded initiative which aims to establish high-quality sports leadership development exchange opportunities for young people through short term volunteer placements with local grassroots sports organisations. 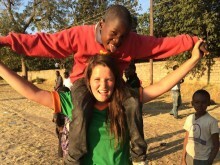 Over the last decade, Northumbria University has sent several students to Zambia each year for six-week periods during which they work with sports leaders in the local community and coach sessions with youngsters in various sports including football, netball, basketball and volleyball. Students studying Architecture and Built Environment courses have also taken placements in Zambia to renovate a set of tennis courts providing a long term, high quality facility open to the whole community. Commenting on the success of the conference, Colin Stromsoy, Northumbria’s Head of Sport, said: ““The conference brought together representatives from Government, education, national sport federations and local communities, to jointly plan for the country’s future sporting needs. All of the students who participate in the IDEALS programme are volunteers and are required to fundraise to fund their placements and ensure the project remains sustainable over the long term. Chelsea Barker was part of the Northumbria IDEALS team in 2014 and spent the summer coaching in Lusaka. She said “The opportunity Northumbria University gave me to volunteer in Zambia was one of the most enjoyable and rewarding experiences of my life. I thoroughly enjoyed immersing myself into all aspects of Zambian life from riding the buses to singing and dancing with the children every single day. 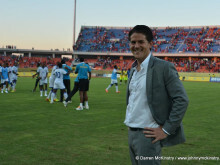 Click here for more information on the Zambia IDEALS project. 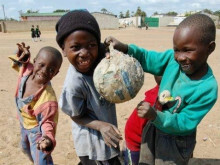 An academic from Northumbria University, Newcastle will advise a new African organisation on how sport can be used to both alleviate economic and development issues and create entrepreneurial opportunities. 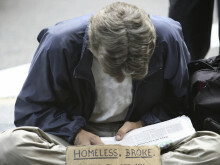 Two internationally acclaimed creative writers will collaborate on a homelessness project spanning the North East of England and Africa, at Northumbria University, Newcastle. 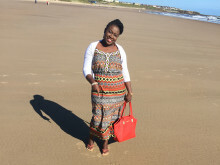 Northumbria University, Newcastle, has appointed a new recruitment manager in Africa to help look after rising numbers of applications from students in Nigeria and Ghana. The Student President of Team Northumbria will push her body to the limit this weekend raising funds to support a Zambian sports project. Sky Sports will broadcast Team Northumbria’s first home game of the Netball Superleague season as they take on Loughborough Lightning on Monday night. Northumbria University’s new student sports president has returned from a six-week trip to Africa inspired to get more students involved in sport at every level.